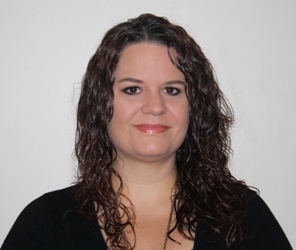 Hays, Kansas (March 28, 2016)—Mandy Schaben, Ultrasound Technologist at HaysMed recently received Breast (BR) specialty certification through the American registry for Diagnostic Medical Sonography® (ARDMS®). The BR certification recognizes a technologist’s knowledge, skills and abilities in the area of normal breast as well as breast abnormalities that are found with screening or diagnostic mammography. The (ARDMS®) is an independent, nonprofit organization that administers examinations and awards credentials in the areas of diagnostic medical sonography, diagnostic cardiac sonography and vascular technology. Schaben works in the Imaging Department at HaysMed and has been an Associate for one and a half years. HAYS, Kansas (March 23, 2016)— HaysMed Pulmonology Associates is sponsoring a free educational class on How’s Your Sleep on Tuesday, April 12 at the HaysMed Center for Health Improvement Education Room, 2500 Canterbury Drive, Hays, Kansas. Participants are asked to use the South Entrance and park in Parking Lot F. The program will feature a presentation and roundtable discussion by Manoj Suryanarayanan, MD and Bryan Noone, RN, RPSGT. Good sleep is as necessary as the air we breathe and the food we eat. This program is designed for those who have questions about sleep including quantity, quality and problems associated with poor sleep. or call 785-261-7452. Registration is required. HAYS, Kansas (March 21, 2016)— HaysMed is offering Small Group Training sessions beginning in April. There are four distinctive programs and each will feature a free demonstration so participants can see what the training will involve. Each program is held for four weeks, one time a week for 45 minutes. Booty and Bells is a full blast lower body workout that targets all your glutes. The workout utilizes barbells dumbbells and kettleballs and delivers a great calorie burn. This session is offered three times. The Free demonstration for Course 1 is March 28 at 9:00 am, Course 2 is March 30 at 12:00 noon and Course 3 is March 30 at 5:30 pm. Shoulders Plus Core is a total upper body work using free weights. The focus is on sculpting arms, back and core and strength building. The free demonstration is Friday, April 1 at 7:00 am and the course begins on Friday, April 8 at 7:00 am. Bell City is a moderate to high intensity, free weight, strength and conditioning workout session. Aimed at building lean muscle the workout uses kettlebells, dumbbells, sandbells and barbells. The free demonstration is Monday, April 25 at 5:30 pm and the course begins on Monday, May 2 at 5:30 pm. The final program, Body Blast is an intense full body workout designed to spike your metabolic rate. You will jump, crawl, pull and push your way through the workout. The free demonstration is Friday, May 6 at 9:00 am and the course begins on Friday, May 13 at 9:00 am. To continue to improve upon my personal health and physique. I typically workout in the evenings or early mornings after my shift at the hospital. Simply put, “I have the strength for everything through Him who empowers me” – Philippians 4:13. It is God’s love and grace that motivates me to make the most of this life He gave me. Hays Medical Center patients, families and staff now have a few more options when it comes to dining within the hospital. Since the end of November, HaysMed has been in the process of renovating and upgrading its cafeteria, now known as Rock Garden Cafe. The remodeled area offers a new dining experience, as well as a wider variety of healthy food options. Previously, the space was not functional enough to serve the kind of food staff is providing, 80 percent of which Fitzthum said is fresh and homemade. Fitzthum said HaysMed has been planning to make the cafeteria updates for several years, and when he began working at the hospital about a year and a half ago, the planning went into action. “He has been able to get so much done in the short time he’s been here,” said Gayla Wichman, director of marketing at HaysMed. Now, the cafe features a custom made-to-order deli area, offering daily, freshly made bread, wraps and sandwiches. Another added feature is a market-style grab-and-go area, which Fitzthum said he feels will be beneficial for patients and families who need something to eat quickly. Other areas include a two-sided salad bar and a saute or freestyle area, which provides freshly made breakfast including omelets, pancakes and more, according to Wichman. “Of course, we also have to have the traditional hot serving line, which we do, but we made it more efficient,” Fitzthum said. In addition to the many menu enhancements, the environment of the space also was updated. Fitzthum said he had a vision of creating a more modern, metallic atmosphere to tie into the rock garden outside the cafe. Staff said the reaction of diners has been positive. 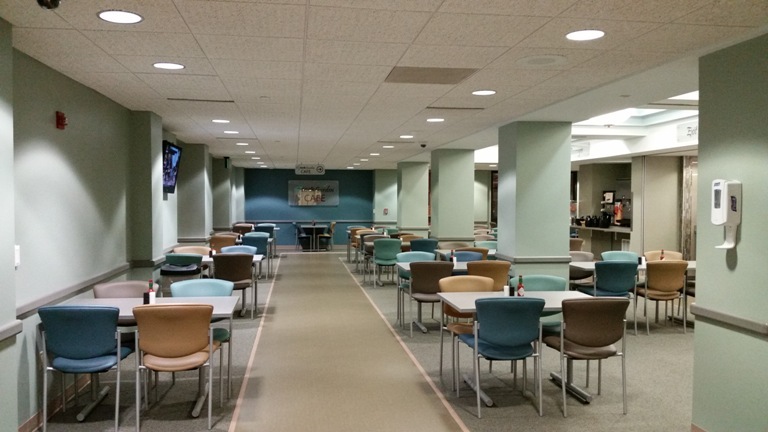 Hays, Kansas (March 15, 2016) – HaysMed has completed renovations and upgrades on their cafeteria and reopened the serving area on Monday. The project was started in November of 2015 and finished late last week. The Rock Garden Cafe features a completely remodeled serving area that includes four different serving stations. The deli area allows for custom made to order sandwiches or wraps on fresh made breads. There will be a variety of both hot and cold sandwiches featuring freshly made meats with two panini presses. The second area is highlighted by a 2 sided horseshoe shaped salad bar allowing service to more people simultaneously and expanded fresh ingredients. The third station, the sauté or freestyle area, allows fresh made breakfast options during the 7 am – 9 am hours. This will include omelets, pancakes and scrambles. In the future this area will also serve made to order pasta dishes and stir fry during the lunch and dinner hours. The final area is the traditional hot service area which offers the daily entrée specials. An addition to the desserts is a new dual head yogurt machine serving up two flavors of yogurt and a twist. Rounding out the food selections are two grab and go areas that are available for pickup up of a quick meal. There is a refrigerated section for premade sandwiches and wraps and a heated area that will hold hot pies, pizzas and hot sandwiches. The complimentary coffee, tea and water dispensers are place outside the serving area for better traffic flow. A color scheme centered on blues and greens with glass tiles compliments other recently remodeled areas of the hospital. The contemporary café style seats 100 which is almost exactly what the seating was prior to renovations. The layout creates a feeling of easier accessibility to the sunken outside patio that seats 18. Hays, Kansas (March 9, 2016)— The annual HaysMed Service Awards Banquet was held last night at the Rose Garden Banquet Hall in Hays. The highlight of the banquet was the presentation of the Norman W. Jeter Humanitarian Award, the Sister Mary J. Mollison Nurse of the Year Award and the Vic Eddy, MD, Physician of the Year Award. These awards are the highest level of recognition that an associate of Hays Medical Center can receive. The Norman W. Jeter Humanitarian Award recognizes an individual’s human kindness and dedication to medical excellence. The award was presented to Pat Marrs, RN, Corporate Compliance at HaysMed. 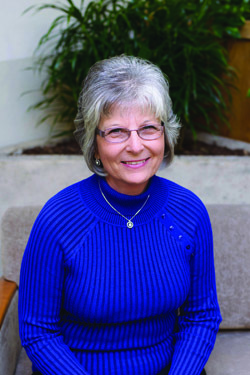 Marrs has been with the organization since 1974. Recipient of the Sr. Mary J. Mollison Nurse of the Year Award was Karen Threlkel, RN. This award honors a nurse who displays excellence in the areas of job knowledge and performance, quality improvements, self-development and participation in hospital and community affairs. 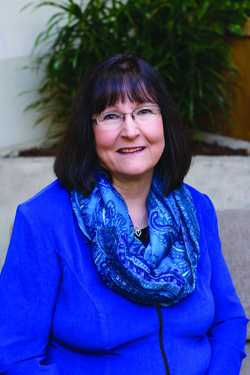 Threlkel began her career with HaysMed in 1977 and works at HaysMed Family Medicine. The Vic Eddy, MD, Physician of the Year Award was presented to Dr. Babu Prasad, Radiation Oncologist at the Dreiling/Schmidt Cancer Institute. The award recognizes a physician who displays a high level of clinical experience and an extraordinary dedication to improving healthcare delivery in the community. 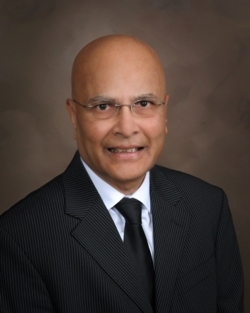 Dr. Prasad began his career at HaysMed in 1983. HAYS, Kansas (March 8, 2016)— The HaysMed Center for Health Improvement (CHI) is offering a FREE Workout on Monday, March 14. St. Patty’s PiYo workout will be held from 5:30 pm – 6:30 pm at the CHI gym, 2500 Canterbury, Hays, Kansas. PiYo combines the muscle-sculpting, core-firming benefits of Pilates with the strength and flexibility advantages of yoga to deliver a true fat-burning, low-impact workout. There is no need to register. For more information call 785-623-5900. HAYS, Kansas (March 7, 2016)— HaysMed Sports Medicine is hosting their 15th Annual Athletic Testing Combine on Saturday, April 16 from 9:00 am – 11:00 am at The Center for Health Improvement, Hays, Kansas. Registration fee is $20 per person. This testing is for male or female, grades 6 through 12. Make up combine sessions will be held on April 23 and April 30 at 3:00 pm. Every athlete strives to do his or her best in whatever sport they participate in. In order to achieve that goal, it is important to know at what level you are performing and how that performance can be improved. The Athletic Testing Combine is designed to assess athlete’s individual strengths and weaknesses in order to help them reach their highest athletic potential. Tests performed during this event include: Height, Weight, Seated Shot Put, Pro Agility, Vertical Jump, Standing Long Jump, Bench Press and 10 Yard and 40 yard dashes which are electronically timed. High Plains Sports Medicine provides highly qualified staff and professional testing equipment including the use of electronic timing equipment accurate to the 1/100th of a second. This ensures accurate and reliable results. Each athlete in attendance will receive an individual athletic profile. This includes test results, percentile rankings, and an overall athletic rating allowing athletes to identify specific strengths and weaknesses. In addition, athletic directors and coaches from each school will be provided similar reports. The results are also sent to Midwest colleges for their review of athletes interested in playing college sports. Registration is due April 11. For more information contact Shawn Landers, MS, LAT, ATC, CSCS at 785.623.6369, https://www.haysmed.com/the-center/athletic-testing-combine/ or email at shawn.landers@haysmed.com. 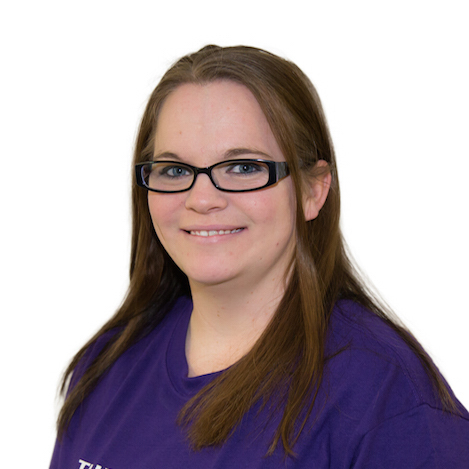 (Hays, KS) March 2, 2016 – Certified Massage Therapist, Stephanie Stanley, has joined the team of Certified Massage Therapists at HaysMed’s Center for Health Improvement. 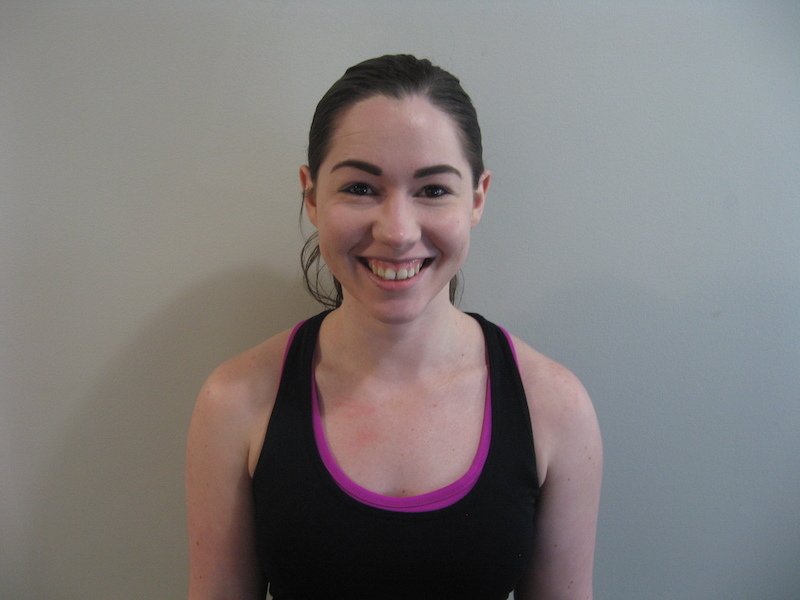 Stephanie specializes in deep tissue massage, hot stone massage and cupping. Stephanie joins a great team of certified massage therapists; Garrah Birdsall, Rachel Loving and Nichole Dearinger who also offer massage services at The Center. Each therapist will design an effective, customized treatment to address your individual needs. Massage sessions are open to anyone. You can schedule an appointment at 785-623-5900. For more information on massage therapy go to https://www.haysmed.com/the-center/massage-therapy/.